Com resistência à água e à poeira IP67, proteção de queda de 3 metros e uma classificação Crushproof de 1000 lb, a SSD R-Series G-DRIVE oferece armazenamento robusto em que você pode confiar. As veloc.. 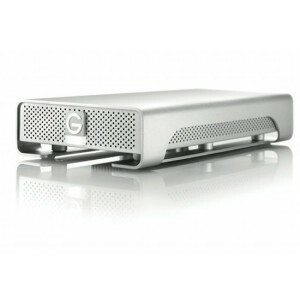 High-Performance Storage Solution with Thunderbolt and USB 3.0 A high-performance storage solution featuring ultra-fast Thunderbolt and USB 3.0 interfaces in an all aluminum enclosure. 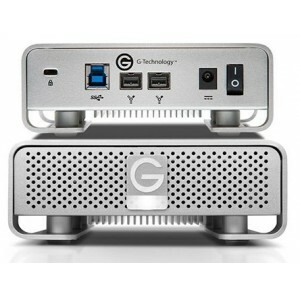 G-DRIVE with T..
Professional External Hard Drive G-DRIVE  A high performance storage solution featuring screaming fast USB 3.0 and FireWire® interfaces. 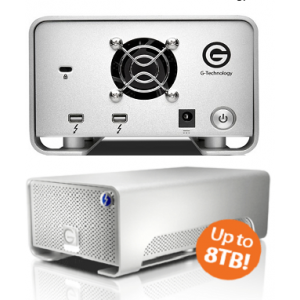 Available in storage capacities up to 6TB, G-DRIVE is perfec..
Professional High-Performance Dual-Drive Storage System G-RAID with Thunderbolt, designed specifically for professional content creation applications, features the most powerful, flexible I/O tec..